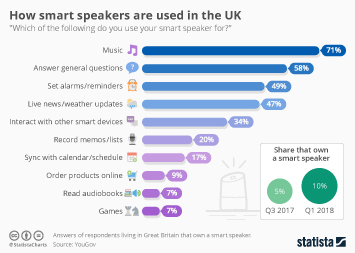 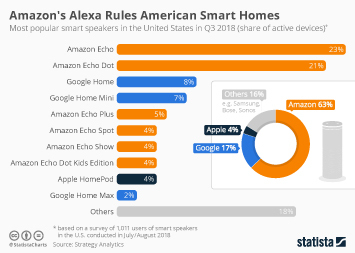 Having shipped an estimated number of 5 million Echo devices in Q3 2017 according to Strategy Analytics, Amazon is the undisputed market leader in the emerging smart speaker space. 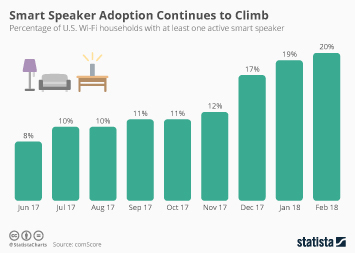 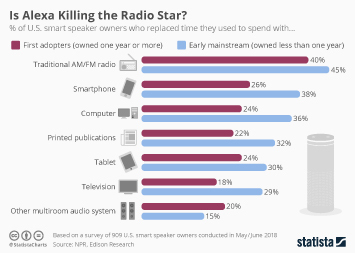 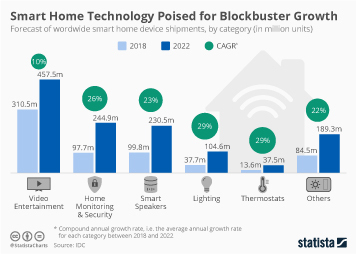 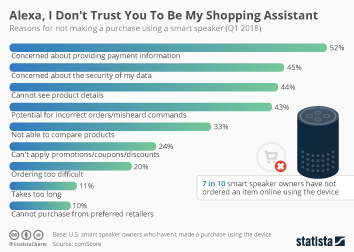 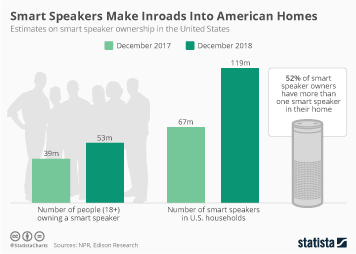 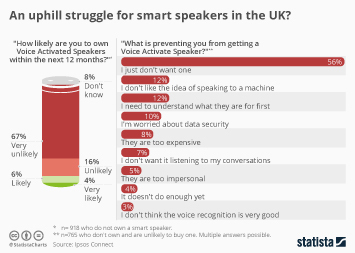 The Seattle-based e-commerce giant pioneered the market with the release of the first Echo speaker in 2015 and has broadened its line-up of devices equipped with digital voice assistant Alexa ever since. 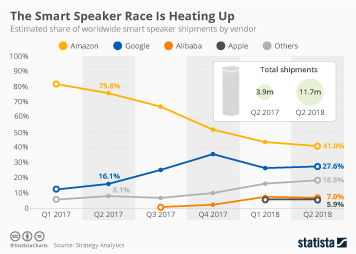 Having entered the market in late 2016, Google is a distant second with 1.9 million shipped units in Q3 and a market share of 25 percent. 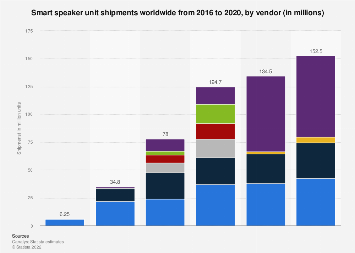 Despite the apparent dominance of these two companies with a combined market share of more than 90 percent, the cards will probably be reshuffled in 2018, when Apple is slated to enter the market with the (delayed) release of the HomePod. 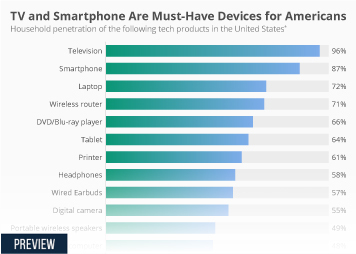 Let’s think back to 2014, when Samsung dominated the nascent smartwatch market and Apple was yet to make its entrance. 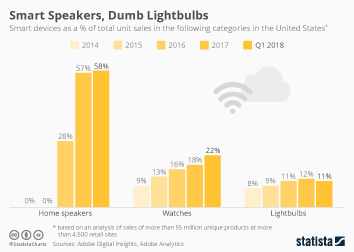 After releasing the Apple Watch in April 2015, the company instantly grabbed 75 percent of the market and has dominated smartwatch sales ever since. 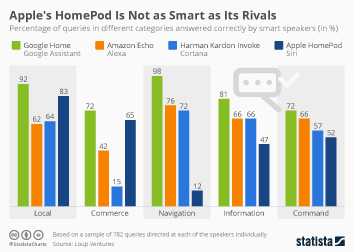 It remains to be seen how the HomePod, priced at $349 and positioned as more of a hi-fi device than Amazon’s Echo speakers (which start at $49.99), will be received by the general public, but if the initial, largely positive reaction by tech pundits is any indication, it is entirely possible for Apple to challenge Amazon’s market lead from the get go. 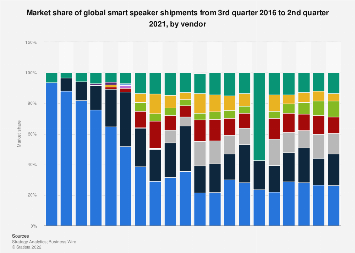 This chart shows worldwide smart speaker shipments in Q3 2017.